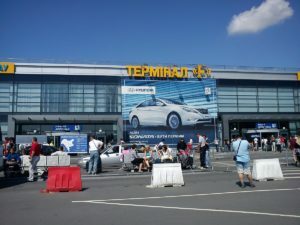 Terminal F has been launched at Boryspil International Airport (Kyiv), according to the Interior Ministry. 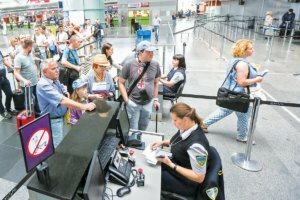 “Already from the beginning of the operation of Terminal F, the border guards of the separate checkpoint Kyiv registered one flight for arrival and five for departure. In addition, the border guards ensured proper clearance of 200 citizens who arrived in the country, and 720 citizens who have already left,” the ministry said on Facebook. In total, 44 servicemen of the State Border Service were attracted for border clearance in the renewed terminal. As reported, the Ministry of Infrastructure wants to introduce preferences for air navigation services for Boryspil airport. 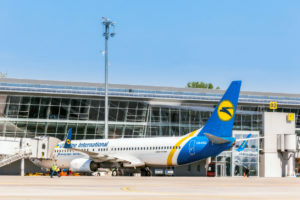 The Boryspil international airport remained third in the Skytrax Airport Awards in Eastern Europe 2019 from Britain’s Skytrax. The Budapest airport is first and the Tallinn airport is second. 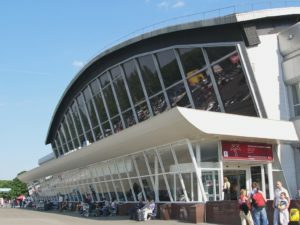 The Buchrest airport is fourth and Belgrad airport is fifth. 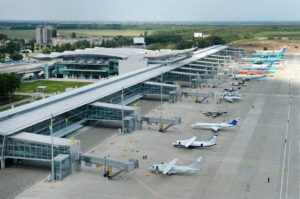 The Boryspil international airport was also third in the Skytrax Airport Awards in Eastern Europe 2019. Skytrax, established in 1989, is an international air transport rating organization. Kyiv-based Boryspil International Airport, the country’s largest airport, in January 2019 boosted passenger traffic by 14%, to 897,200 people compared with January 2017, the airport’s press service told Interfax-Ukraine. In January 2019, some 766,300 passengers handled by Boryspil Airport flew by regular flights (an increase by 21%) and 130,900 passengers travelled by charter flights (a decline by 17%). In January 2019, the share of transfer passengers grew by 12% of the airport’s total passenger traffic, to 235,820 people. As reported, the airport in 2018 handled 12.6 million passengers, or 19% up on 2017. In 2019, its passenger traffic is expected to grow by 14%. According to the airport’s management, the projected decrease in passenger traffic growth rates is associated with an increase in the absolute number of passengers. It services Ryanair flights to and from Ukraine along with Lviv’s Danylo Halytsky Airport. Boryspil International Airport (Kyiv), the country’s largest airport, in the first nine months of 2018 increased passenger traffic by 19%, to 11.67 million people against 9.768 million in the same period of 2017, the press service of the airport has told Interfax-Ukraine. In November, the airport served 994,200 passengers, which is 33% more than in November 2017. 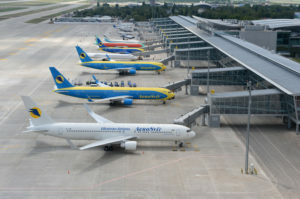 Some 8.936 million passengers of Boryspil airport travelled on regular flights in the 11 months, while 2.731 million people chose irregular flights. The share of transfer in the total passenger traffic of the airport in January-November decreased to 27%, while over the 11 months of 2017 it was 28%. At the same time, the number of transfer passengers increased from 2.72 million last year to 3.192 million in the 11 months of 2018.